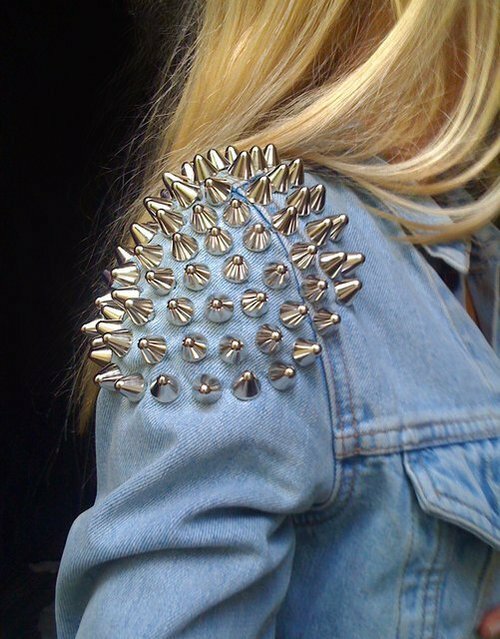 One trend that will never go out of style is the addition of spikes and/or studs to any article of clothing or accessory. This season we have seen some pretty amazing looks adorned with spikes and studs. Countless designers have transformed look after look with these bold adornments. One of the more popular ways of rocking this trend is wearing them on collars and accessories. Our favorite? Spikes and studs embellishing leather! Will you be showing off your inner rocker with some spikes and studs this year? This entry was tagged business, fashion, Life, Media, photography, style. Bookmark the permalink.